Great Bear Resources is a Canadian exploration company focused on advancing precious metals projects in one of the world's premier mining jurisdictions – Red Lake, Ontario, Canada. Great Bear owns a 100-per-cent royalty-free interest in the Dixie property, located in the Red Lake district of Ontario. 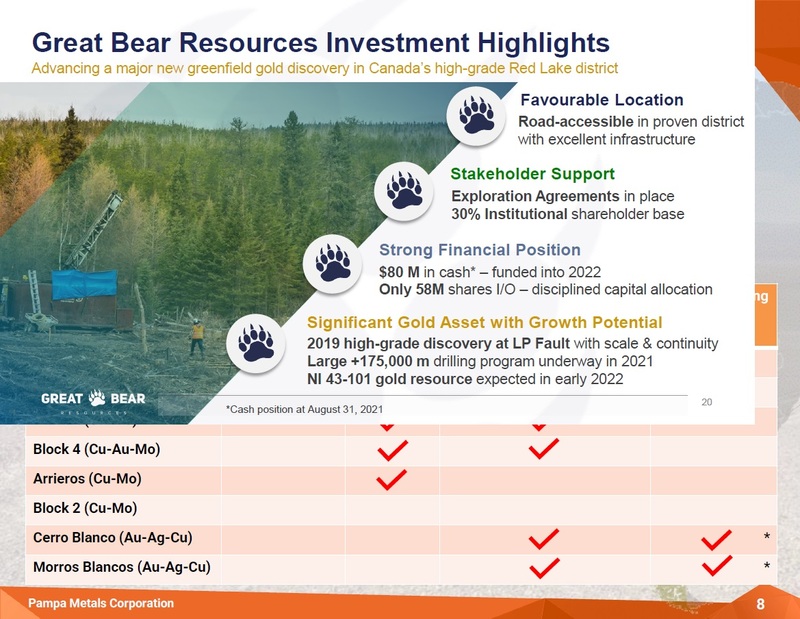 In addition, Great Bear is earning a 100-per-cent royalty-free interest in its West Madsen properties, which total 3,860 hectares and are contiguous with Pure Gold Mining Inc.'s Madsen property. All of Great Bear's Red Lake projects are accessible year-round through existing roads. The Red Lake mining district has produced over 30,000,000 ounces of gold, and has an excellent network of access roads allows for exploration work year-round at Great Bear's Dixie and West Madsen Projects. The program will continue to drill test the Dixie Limb Zone ("DLZ"), including its various sub-zones such as the Hinge Zone and South Limb Zones. 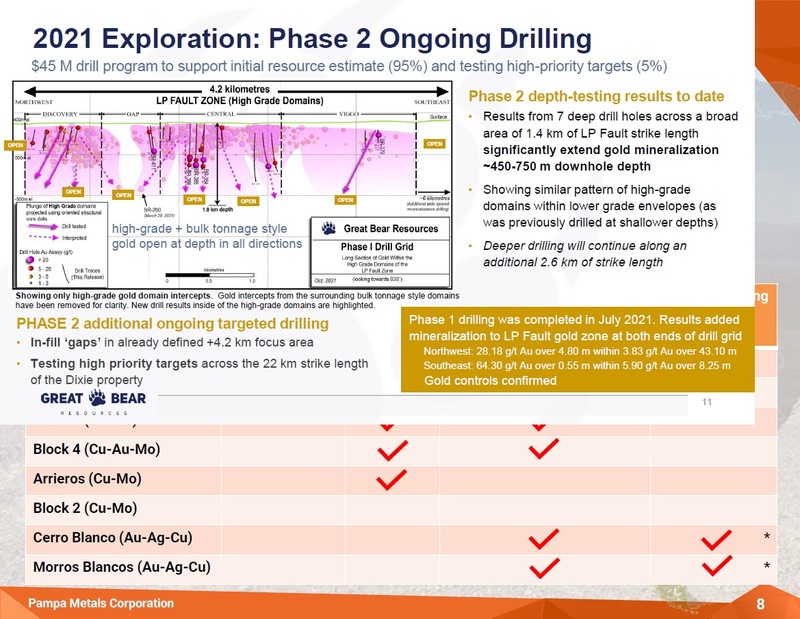 Step-out drilling will also test additional targets along the 10 kilometre strike length of the DLZ. Founder and president of Corex Management Inc. Currently the Executive Chairman of Bluestone Resources Inc. and a director of Northern Empire Resources Corp. 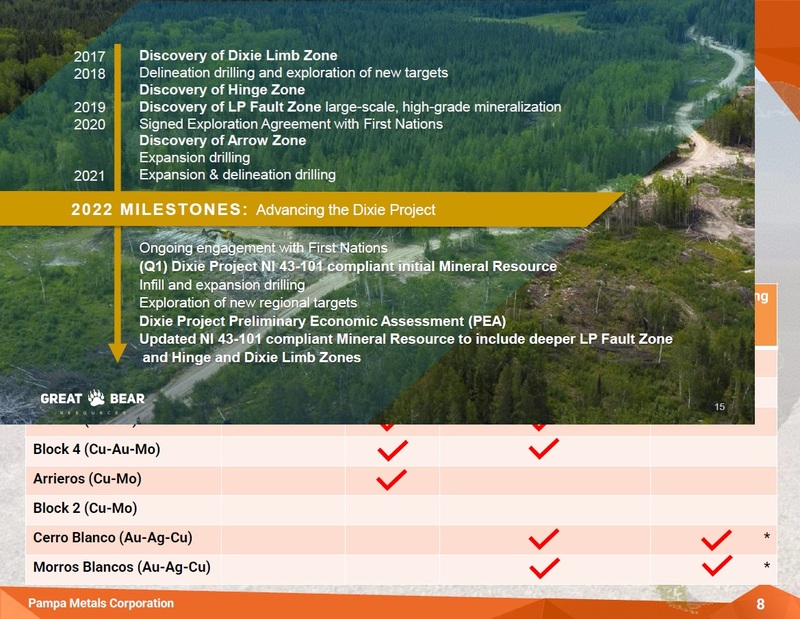 Founder of Hunter Exploration, Stornaway Diamond Corp., ValOre Metals Corp., North Country Gold Corp. and Kaminak Gold Corp.
On January 16, 2019, Great Bear Resources Ltd. has released drill results from the Hinge zone and South Limb zone at its 100-per-cent-owned Dixie project. Results include 1,602.73 grams per tonne gold over 0.70 metre (approximate true width) at 150-metre vertical depth. On January 14, 2019, Great Bear Resources Ltd. has provides a 3-D model of gold mineralization drilled to date at the Company's 100-per-cent-owned Dixie project. The model represents an approximately 12-square-kilometre area of the approximately 100-square-kilometre Dixie property, from surface to one-kilometre depth, centred on the area of most drilling. On November 29, 2018, Great Bear Resources Ltd. reported continuity of gold from surface to 365 m depth in Dixie Limb Zone, Dixie Project in the Red Lake District of Ontario. 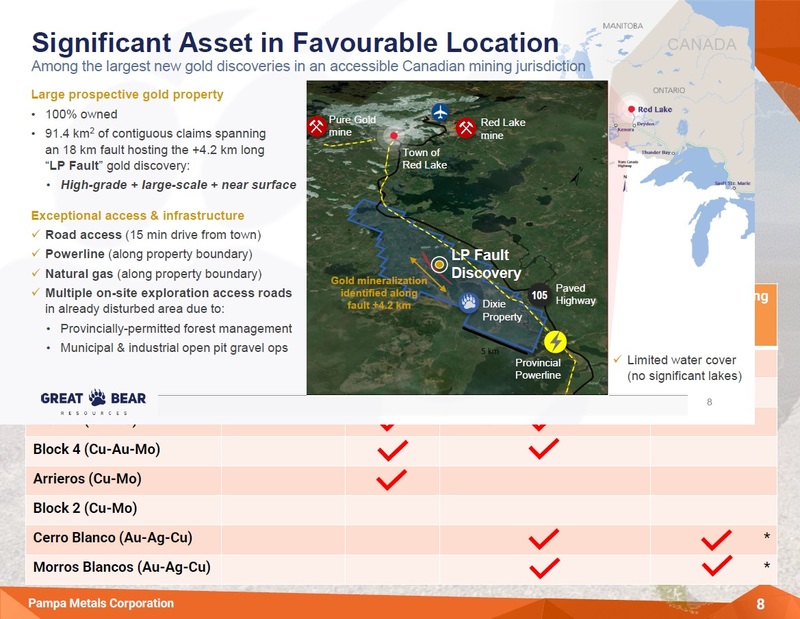 On November 19, 2018, Great Bear Resources Ltd. announced that it has accelerated payments and completed the purchase of 100-per-cent royalty-free interest in its flagship Dixie Gold Project, located in the Red Lake district of Ontario. Great Bear now has 100-per-cent ownership of the 9,140-hectare project. On September 27, 2018, Great Bear Resources Ltd. has provided an update on a new high-grade gold discovery, the South Limb zone (SLZ) at its Dixie project in the Red Lake district of Ontario. 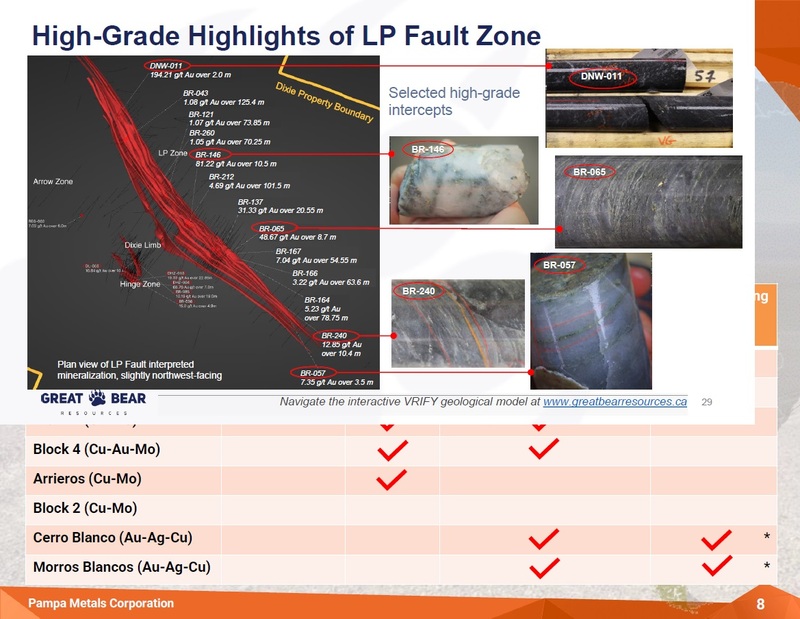 Results are also provided from continuing drilling of the Dixie Limb zone (DLZ). The SLZ discovery includes the highest-grade results drilled to date at the Dixie project, at only 75 metres of vertical depth. The best intercept returned 1.75 m of 101.05 grams per tonne gold including 346.79 g/t gold over 0.5 metre within a vein zone of 10.35 metres of 18.23 g/t gold in drill hole DSL-004. The SLZ is a large target with potential for several kilometres of strike length. Recent discoveries in the SLZ and Hinge zone occur along the axis of a multi-kilometre scale, largely untested regional D2 fold. Three drill holes completed along 220 metres of strike length of the new SLZ target all intersected gold within a well-developed quartz vein system. The DLZ continues to yield gold results in all (100 per cent) of the 32 drill holes. The target is geophysically defined as having over 10 kilometres of potential strike length. 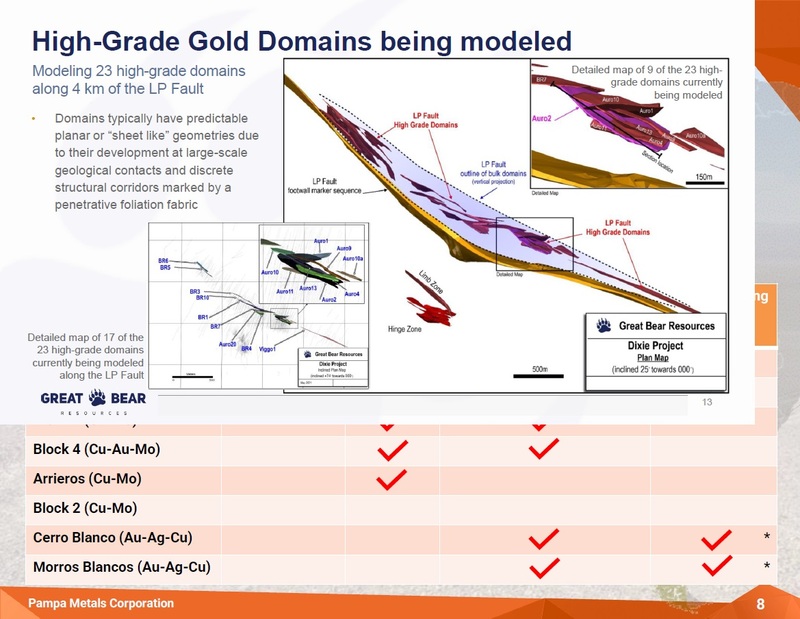 New results from the DLZ include deeper tests of the zone, returning 3.80 metres of 6.27 g/t gold, including 0.60 metre of 17.29 g/t gold, within a wider interval of 19.00 metres of 3.08 g/t gold at 194.86 m vertical depth in hole DL-024. On September 20, 2018, Great Bear Resources Ltd. reported revised results from its recent high-grade gold discovery in the Hinge zone and provided details on its new drill program, now under way at its Dixie project in the Red Lake district of Ontario. Drill hole DHZ-004 was originally reported as returning 44.47 grams per tonne gold over 7.00 metres on Aug. 22, 2018. The interval has been increased to 68.76 g/t gold over 7.00 metres through reassay of a previously underreported core interval. The Company also reports it has commenced a 30,000-metre drill program that will consist of approximately 150 drill holes and will continue through 2018 and 2019.